Northwest Wildlife Preservation Society has teamed up with Yaletown’s Cocoa Tanning to help make our symbolic animal adoptions even more accessible. ALL DECEMBER LONG you can purchase our kits in-store. Cocoa Tanning is located at 1165 Pacific Blvd in Vancouver and they’re open Monday to Friday 9am to 10pm, and 11am to 7pm on weekends. Instead of buying a simple toy this Christmas, give them a gift that means a whole lot more. Symbolically adopt an animal to support wildlife preservation. For only $40, you get an adorable stuffed animal as well as so much more! In addition to the plush toy, each kit includes a personalized adoption certificate and species information booklet so the recipient can learn more about an animal they love, and feel a sense of connection and accomplishment for being part of something larger than themselves; the most important issue facing the planet today: sustainable conservation of the natural world in which we are all a part and all ever so dependent on. 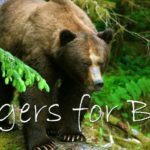 All funds raised allow NWPS to provide free wildlife education and stewardship programs to disadvantaged kids throughout BC and beyond, creating a future generation of responsible environmental leaders who love, appreciate and support this planet. Get yours in-store, or order online at northwestwildlife.com/shop We ship worldwide! Species available include: bald eagle, beaver, bighorn sheep, black bear, cougar cub, giant Pacific octopus, great white shark, green sea turtle, grey wolf, grizzly bear, harbour seal, humpback whale, little brown bat, mallard duck, moose, mountain goat, Nuttal’s cottontail rabbit, orca, red fox, river otter, Rufous hummingbird, sea otter, snowy owl, spirit bear (aka Kermode bear), spotted owl, Vancouver Island marmot, white-tailed deer fawn. JOIN US on Wednesday December 12th from 7pm to 10pm for a special holiday shopping party. Get your FREE ticket at https://www.facebook.com/events/2247171022185044/ quick as the first 50 people to RSVP will receive a door prize! We’re so thankful to be hosted this month alongside some really fantastic eco-conscious, local businesses. Also at Cocoa Tanning this month you can purchase products from TamarKate, Vegan Organic Box, Sam James Art, Rodika Goreea, and LovEd Luxury Sea Salts.